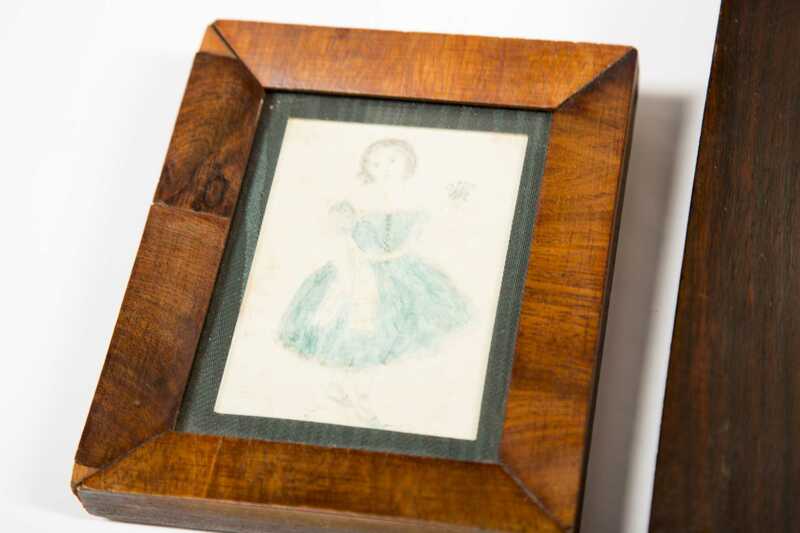 Three Primitive Watercolor Paintings of Children, A) Painting of a young girl standing while holding her hat with a blue band, 5 5/8" x 4 1/4", framed under glass. 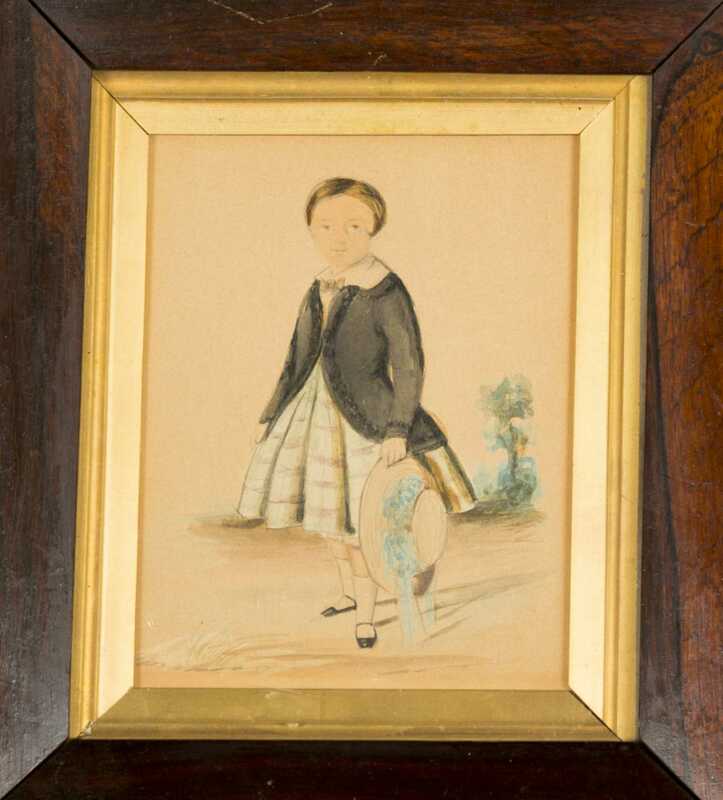 B) Painting of a young boy leaning on a porch rail holding a small whip, wearing a blue dress. 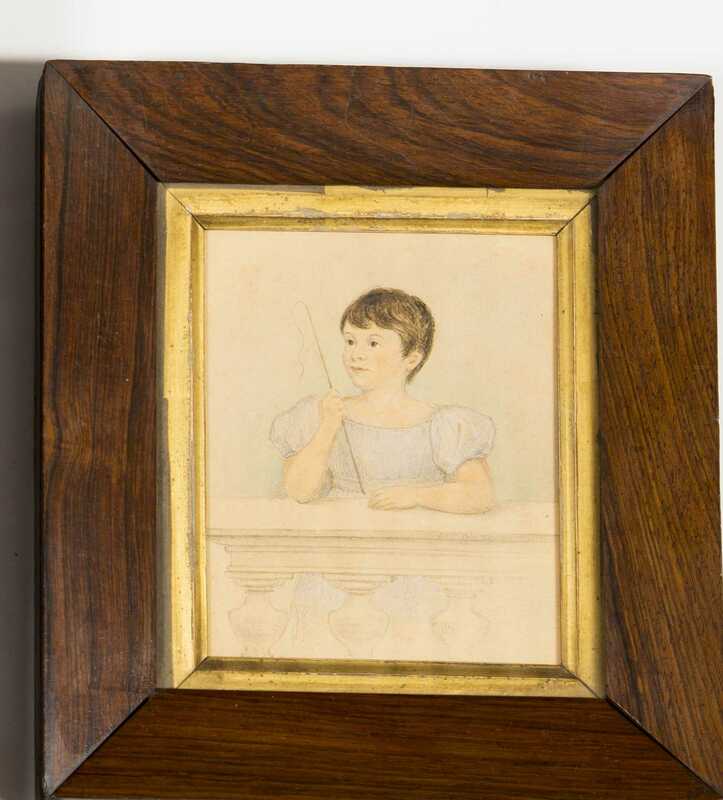 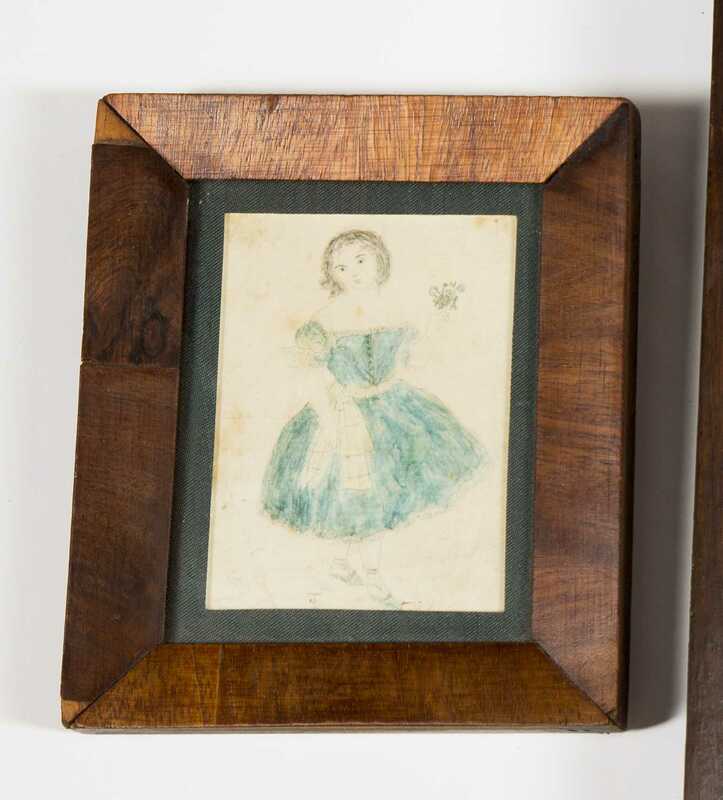 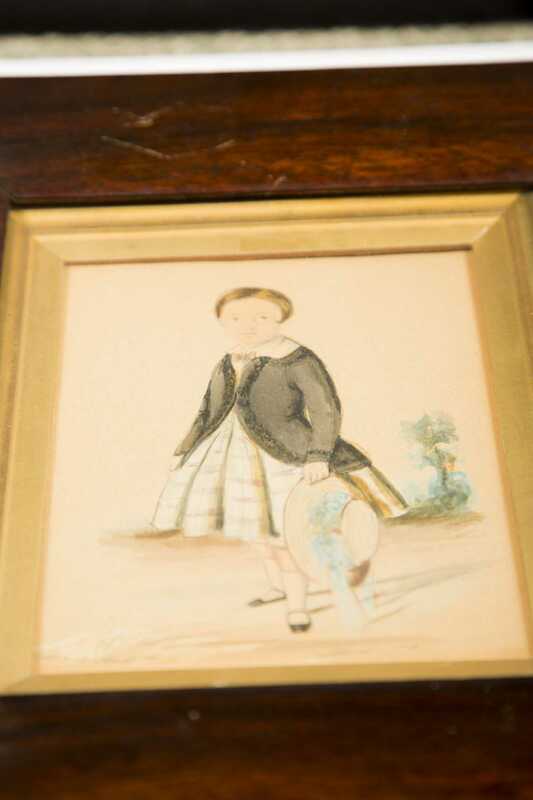 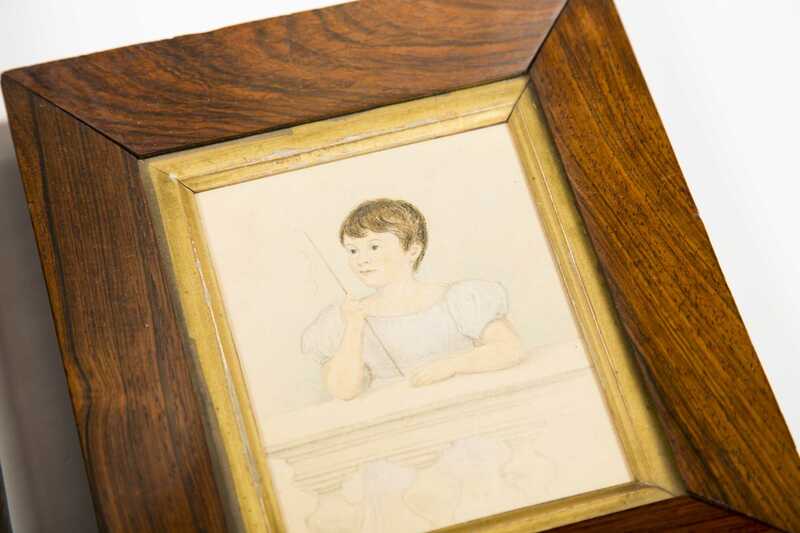 C) Painting of a young girl in a blue dress with white sash, 4" x 3", matted and framed under glass, small stains, fold mark, etc.